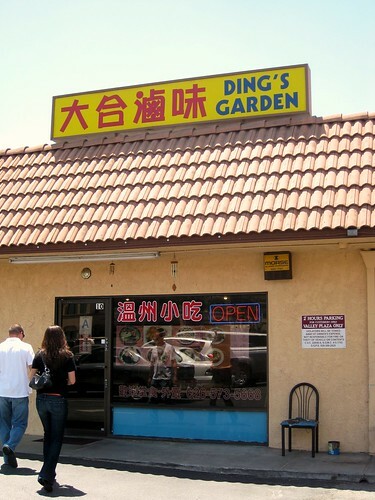 Purell and I coaxed a couple of our co-workers into going to Ding's Garden (534 E. Valley Blvd., San Gabriel) with us. You might be wondering why coaxing was necessary. This is what Purell and I were seeking. So glorious. So delectable. So aromatically powerful that Slim begged us to eat it quickly, so she didn't have to inhale the noxious fumes anymore. Absolutely loved this spicy steamed version ($3.29). Malodorous awesomeness. 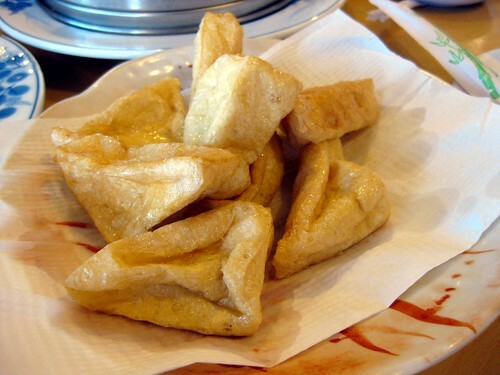 Ding's also offers fried stinky tofu ($3.29). I wasn't as big a fan of this. It was oddly flavorless. Purell took one for the team and gobbled it up while I devoured the steamed stench. Meanwhile, our cowardly cohorts helped us with some other more fragrant dishes. Fairly standard. Several were punctured, which made me sad. Also fairly standard. Beautifully browned, but definitely could've been juicier. Quite lovely and springy. 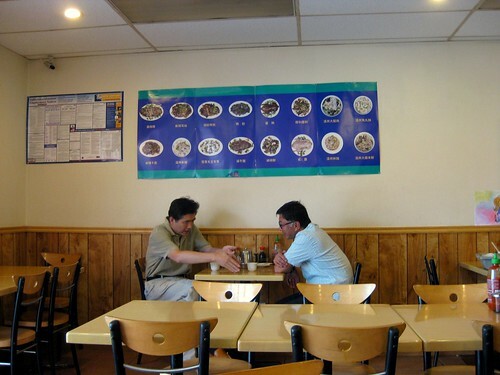 This place does noodles and rice cakes very well. If you're looking for stinky tofu, I highly recommend the steamed version at Ding's Garden. I'll be back for it. The great prices don't hurt either. Never have seen steamed stinky tofu before. I too feel sad when XLB are punctured and their juices spill out. 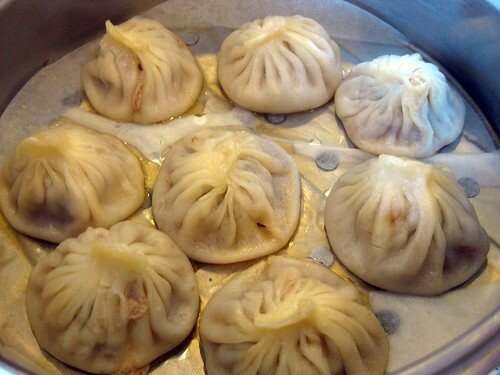 A server once was grabbing XLB from our container for take out and then each XLB got punctured. Sad! I have never heard of stinky tofu. Learn something new every day. And I love rice cake. I have great childhood memories of eating it with my 2 BFFs, homemade by one of their dads. I haven't had it in almost 20 years! Everything looks so good! 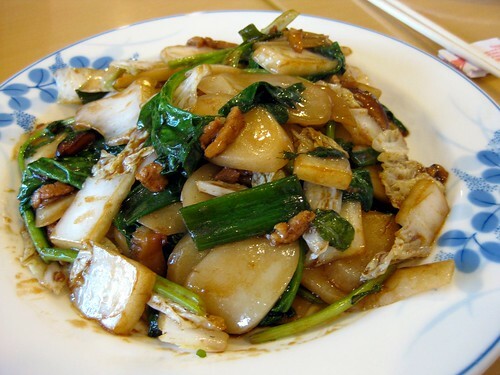 I miss authentic chinese food. I live in Pittsburgh and we don't have any places like that here. Lucky you! Oh how I miss the rice cakes, yum! I've been curious about stinky tofu for a while now, but I haven't ever seen it on a menu! I swear the tofu was giving off some noxious fumes through my laptop's screen! My love for stinky tofu hasn't blossomed yet. I'm a fan of this place. Good post Ms. Monkey! looks good! I don't think there is any stinky tofu where I live. I have never eaten nor been in the vicinity of others eating stinky tofu. I am curious, but I don't know if I'm curious enough to order and eat this fabled treat. I've given up attempting to guess what the smell could be like! The stinky tofu looks good. I've never come across it on a menu, but I think I'd be willing to try it if I did. 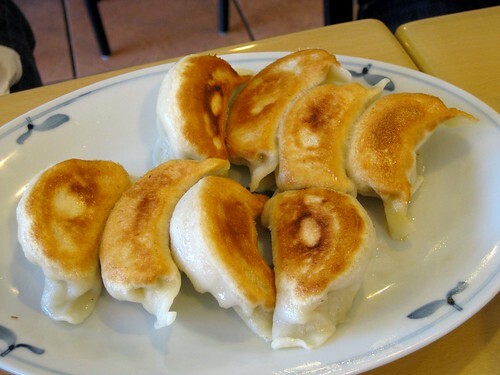 Ooooh those potstickers look amazing! I bet I would love Stinky Tofu. Maybe we eat it together, yes? I've never had stinky tofu, but i do love tofu. what is the flavor difference other than the stink? might have to give it a try soon! 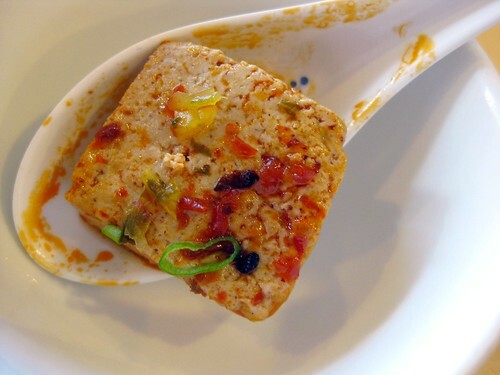 Stinky tofu is basically extremely fermented tofu. 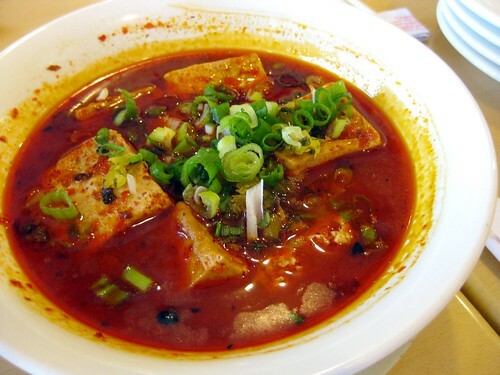 The difference between tofu and stinky tofu is sort of like the difference between a mild cheese and a strong stinky cheese. 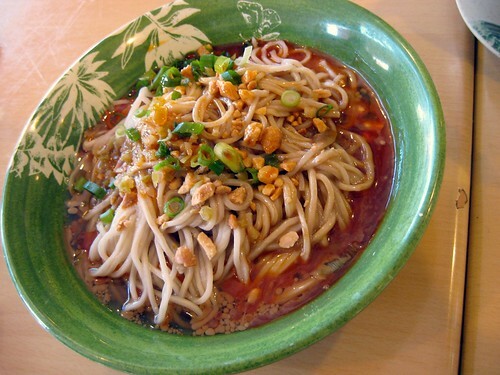 the dan dan noodles look good. i'd want to try the stinky tofu, too. i LOVE tofu.